BodyTite is a minimally invasive liposuction procedure, also known as radio frequency-assisted liposuction, or RFAL. If you are considering liposuction in Houston, consider all your options in order to choose the operation that fits your needs. 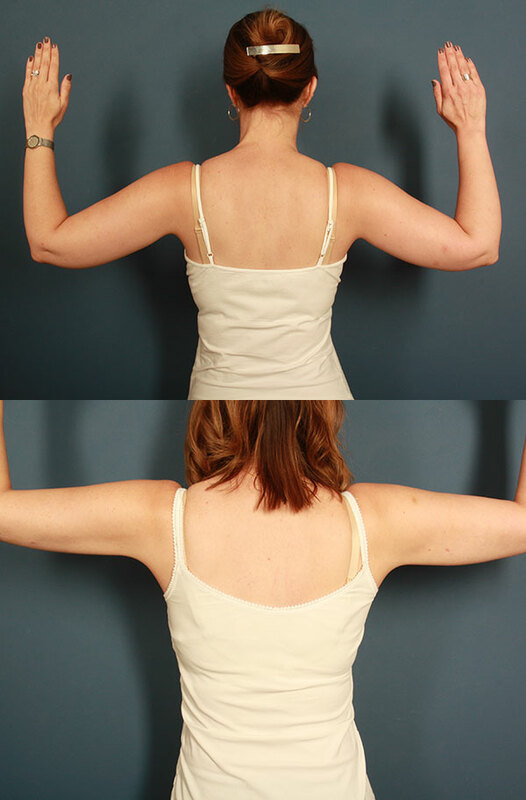 Below you can view actual before and after BodyTite Liposuction surgery photographs. Contact Dr. Mark Schusterman, a board-certified plastic surgeon at the Texas Center for Breast and Body in Houston to schedule an in-person consultation. In this consultation, the doctor will discuss your body contouring and liposuction goals to find out if BodyTite Liposuction is right for you. Not everyone who undergoes plastic surgery will achieve the same results. Ready for a More Beautiful You? Although his research and development of microsurgical reconstruction techniques established his reputation, his knowledge and understanding of the human body and the challenges associated with aiding patients suffering with head and neck injuries as well as breast cancer patients has made Dr. Schusterman an award-winning plastic surgeon. Nobilis Health operates hospitals in 7 states, has more than 60 ambulatory care centers, clinics, and is fully committed to ensuring that every patient receives top-of-the-line care at our conveniently-located, state-of-the-art facilities. Nobilis Health has developed numerous partnerships with an extensive network of highly-specialized, board-certified, fellowship-trained physicians and surgeons. We empower our partner physicians with the cutting-edge technology and highly specialized staffs they need to deliver the highest quality care to every patient. Hermann Drive Surgical Hospital, part of the Nobilis Health family, is a state-of-the-art acute care hospital committed to excellence. At Hermann Drive Surgical Hospital, our highly credentialed staff, cutting-edge equipment, and robust on-site services provide every member of the community with access to exceptional healthcare, 24/7. We provide concierge-quality care in a comfortable environment. At Hermann Drive Surgical Hospital, you’re family, and we stop at nothing to create a compassionate, welcoming environment for you and our fellow community members. Breastfeeding with Breast Implants: Is It Safe? How Soon After a C-Section Can I Have a Tummy Tuck? © 2019 Texas Center for Breast & Body. All Rights Reserved.